I took the plunge this week and asked my students to complete a survey about our year together. The questions didn’t ask for direct feedback about my teaching like some other surveys I’ve seen. Instead, I asked about specific units and events that happened in our classroom during the year. I wanted feedback, but I wanted safe feedback. Nevertheless, the last question was open-ended; I simply asked if there was anything else they wanted to tell me. I had already decided not to ask for feedback this year but changed my mind after reading two posts, one by Pernille Ripp and the other by Bill Ferriter, two educators whose opinions and voices I respect. They wrote about the importance of asking students for feedback to help you become a better teacher. Although I know this is true, I wasn’t feeling all that safe doing a survey. Why did I think students were going to be negative? I’m not sure, but I know it had to do with how I’ve been feeling about myself as a teacher after two years of getting no recognition for my work. So, I started reading the surveys today. They were amazing! I learned so much, and I smiled in recognition at some of the comments because I agreed with them. It is one of the best things I’ve done this year in terms of student feedback. When I asked my students if there was anything they would change about the language arts time, several of them said they would get rid of the reading response requirement. I have always felt conflicted about this requirement because I rarely write a reading response when reading a book. Instead, I try to replicate similar reading events in the classroom that I myself would naturally engage in. And what I often do as a reader is talk to other readers about books. This year, asking for a reading response has felt like pulling teeth. For the most part, the responses have been unsatisfying and a chore. So, why didn’t I stop sooner? I guess it’s because I couldn’t think of what to replace the reading response with and so I simply didn’t make a decision. Also, I do see a purpose for occasionally writing a response but perhaps this can be a book talk or a book trailer. Maybe this can happen when a student finishes a book rather than having to do a response several times a week. I’m not sure what I was thinking when I decided to go with reading responses, but I am so glad my students spoke up. Another thing that kept coming up over and over again was that there wasn’t enough writing happening in the classroom, at least not enough opportunities for self-selected writing. Again, I agree. I was conflicted on how much choice to give my students even though I strongly believe that students need lots of choice in what and how they write and read. Obviously that didn’t happen this year; I need to go back to my roots and reread the work of Donald Graves and follow my heart, rather than letting what’s going on in other classes deter me from what I believe is right for my students. I didn’t listen to them enough with my heart; I won’t make that mistake again next year. The most heart warming comment was written by a student who took full responsibility for his lackluster performance and exonerated me from any blame. I won’t post here what my student wrote because even though I don’t know who made this comment, it would feel like violating a trust if I published his or her words for all to see. Suffice it to say that this comment honestly made it all worthwhile. I am already thinking about how to improve this survey next year in order get some more direct feedback about my teaching. 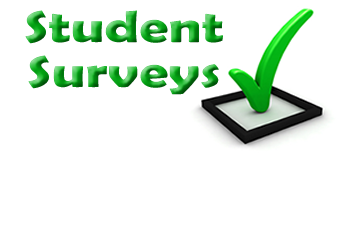 I even thinking of asking my students to fill out a survey mid-year rather than just in June. Did you do an end-of-the-year survey this year? What did you learn? Please share.